As an astrophysicist, I am always struck by the fact that even the wildest science-fiction stories tend to be distinctly human in character. No matter how exotic the locale or how unusual the scientific concepts, most science fiction ends up being about quintessentially human (or human-like) interactions, problems, foibles and challenges. This is what we usually respond to; it is what we can best understand. In practice, this means that the most science fiction takes place in a relatively relatable settings, on a planet or the spacecraft. The real challenge is to tie the story to human emotions, and human sizes and timescales, while still capturing the enormous scales of the Universe itself. 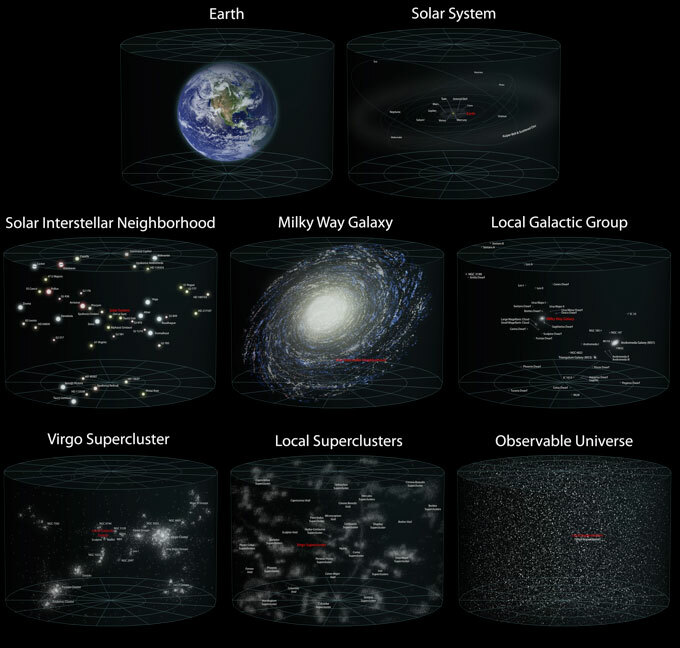 Just how large the Universe actually is never fails to boggle the mind. We say that the observable Universe extends for tens of billions of light years, but the only way to really comprehend this, as humans, is to break matters down into a series of steps, starting with our visceral understanding of the size of the Earth. A non-stop flight from Dubai to San Francisco covers a distance of about 8,000 miles (12,900 km) – roughly equal to the diameter of the Earth. The Sun is much bigger; its diameter is just over 100 times Earth's. And the distance between the Earth and the Sun is about 100 times larger than that, close to 100 million miles. This distance, the radius of the Earth's orbit around the Sun, is a fundamental measure in astronomy; the Astronomical Unit, or AU. The spacecraft Voyager 1, for example, launched in 1977 and, travelling at 11 miles per second (17 km/s), is now 137 AU from the Sun. But the stars are far more distant than this. The nearest, Proxima Centauri, is about 270,000 AU, or 4.25 light years away. You would have to line up 30 million Suns to span the gap between the Sun and Proxima Centauri. The Vogons in Douglas Adams's The Hitchhiker's Guide to the Galaxy (1979) are shocked that humans have not travelled to the Proxima Centauri system to see the Earth's demolition notice; the joke is just how impossibly large the distance is. Four light years turns out to be about the average distance between stars in the Milky Way Galaxy, of which the Sun is a member. That is a lot of empty space! The Milky Way contains about 300 billion stars, in a vast structure roughly 100,000 light years in diameter. One of the truly exciting discoveries of the past two decades is that our Sun is far from unique in hosting a retinue of planets: evidence shows that the majority of Sun-like stars in the Milky Way have planets orbiting them, many with a size and distance from their parent star allowing them to host life as we know it. Yet getting to these planets is another matter entirely: Voyager 1 would arrive at Proxima Centauri in 75,000 years if it were travelling in the right direction – which it isn't. Science-fiction writers use a variety of tricks to span these interstellar distances: putting their passengers into states of suspended animation during the long voyages, or travelling close to the speed of light (to take advantage of the time dilation predicted in Albert Einstein's theory of special relativity). 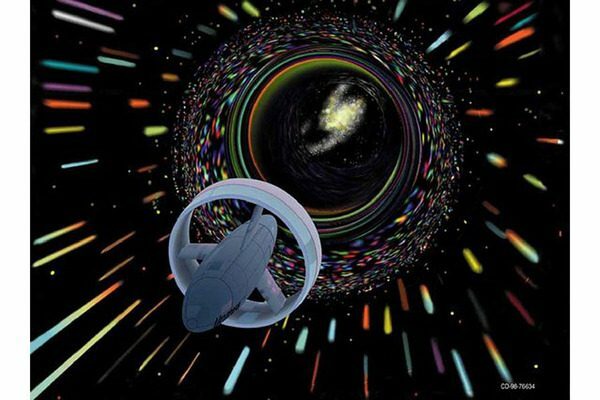 Or they invoke warp drives, wormholes or other as-yet undiscovered phenomena. When astronomers made the first definitive measurements of the scale of our Galaxy a century ago, they were overwhelmed by the size of the Universe they had mapped. Initially, there was great skepticism that the so-called 'spiral nebulae' seen in deep photographs of the sky were in fact 'island universes' – structures as large as the Milky Way, but at much larger distances still. While the vast majority of science-fiction stories stay within our Milky Way, much of the story of the past 100 years of astronomy has been the discovery of just how much larger than that the Universe is. Our nearest galactic neighbour is about 2 million light years away, while the light from the most distant galaxies our telescopes can see has been travelling to us for most of the age of the Universe, about 13 billion years. We discovered in the 1920s that the Universe has been expanding since the Big Bang. 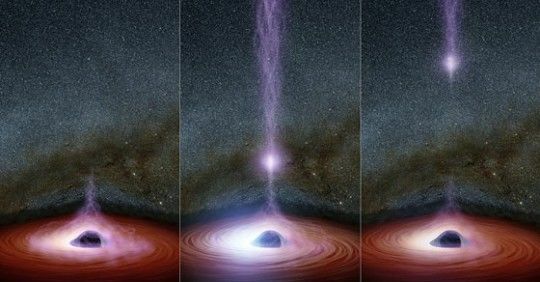 But about 20 years ago, astronomers found that this expansion was speeding up, driven by a force whose physical nature we do not understand, but to which we give the stop-gap name of 'dark energy'. Dark energy operates on length- and time-scales of the Universe as a whole: how could we capture such a concept in a piece of fiction? The story doesn't stop there. We can't see galaxies from those parts of the Universe for which there hasn't been enough time since the Big Bang for the light to reach us. What lies beyond the observable bounds of the Universe? Our simplest cosmological models suggest that the Universe is uniform in its properties on the largest scales, and extends forever. A variant idea says that the Big Bang that birthed our Universe is only one of a (possibly infinite) number of such explosions, and that the resulting 'multiverse' has an extent utterly beyond our comprehension. The US astronomer Neil deGrasse Tyson once said: 'The Universe is under no obligation to make sense to you.' Similarly, the wonders of the Universe are under no obligation to make it easy for science-fiction writers to tell stories about them. The Universe is mostly empty space, and the distances between stars in galaxies, and between galaxies in the Universe, are incomprehensibly vast on human scales. Capturing the true scale of the Universe, while somehow tying it to human endeavours and emotions, is a daunting challenge for any science-fiction writer. Olaf Stapledon took up that challenge in his novel Star Maker (1937), in which the stars and nebulae, and cosmos as a whole, are conscious. While we are humbled by our tiny size relative to the cosmos, our brains can none the less comprehend, to some extent, just how large the Universe we inhabit is. 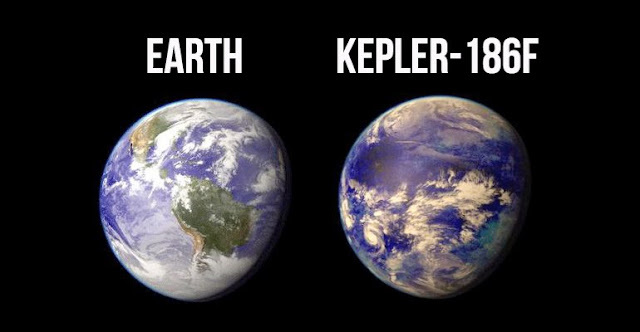 This is hopeful, since, as the astrobiologist Caleb Scharf of Columbia University has said: 'In a finite world, a cosmic perspective isn't a luxury, it is a necessity. Conveying this to the public is the real challenge faced by astronomers and science-fiction writers alike. As the narrator in Wall-E said, "There's plenty of space out in space". Until humans develop or discover though other means near-light travel, we will be staying in our corner of the Galaxy for a long time.